I purchased this app last year and my students really like it. 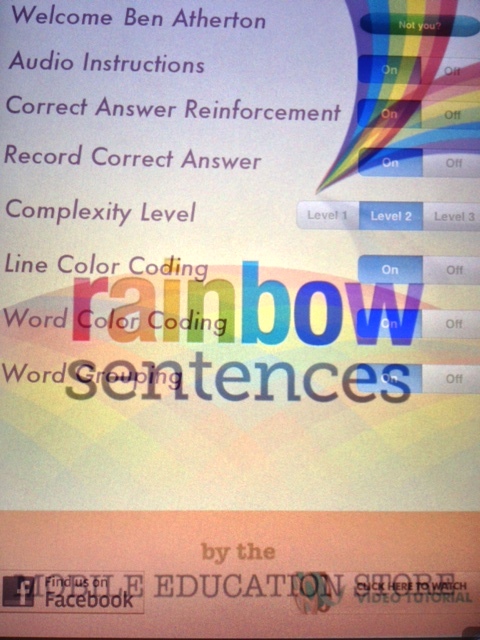 This app is designed to help students improve their ability to construct grammatically correct sentences. The visuals are great and keep my students focused. It is interactive (forget about worksheets!). My favorite feature is the record feature. It allows students to record sentences in their own voice. Completing the auditory loop works wonders for self-monitoring and self-correcting. For $7.99 it is a bargain. Hello! I am a sophomore at Kenyon College and am currently enrolled in an Educational Psychology course. We have a weekly assignment to follow a blog on classroom or educational practices and I am curious to know a bit more about the author of this blog. If you could share with me or point me to a place where I can find out more about the author’s position and qualifications, that would be much appreciated. Thank you! I am an ASHA certified Speech/language pathologist work in a public school.